SAS has developed an extraordinarily effective intervention method that helps the brain to process more, faster and more effectively. It can make a real difference in academic ability, social interactions, emotional well-being and behaviour. The neuro-sensory sound method is easy to apply and has helped thousands of clients to be, do and feel better in life. A really good intervention method, however, is not good enough for real long lasting success. Two other elements are required to obtain the very best results that values the abilities and dignity of the client. 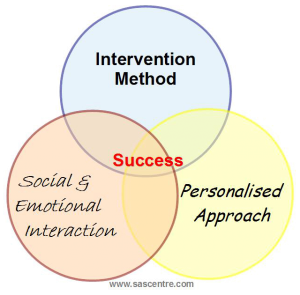 By default every intervention method, be it educational tuition, psychotherapy, life coaching or remedial teaching, will follow a set pattern of interaction with the client, hopefully one that has proven to be successful with the majority of clients. However, each and every person is different, unique and unpredictable in respect of response and ability. 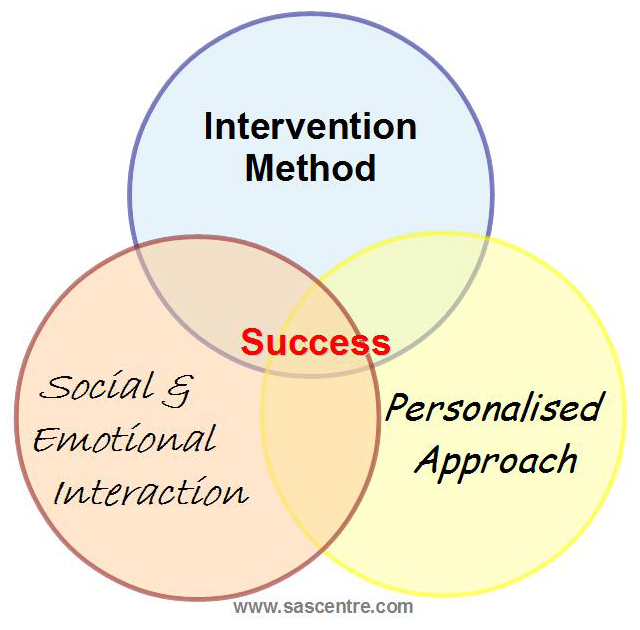 Therefore it is essential that intervention methods are tailored to the needs and abilities of the client. This personalisation introduces an element of complexity that relies on understanding, experience and specialised knowledge of the practitioner. Outstanding results are only possible if the practitioner is sensitive to the needs and reactions of the client. SAS practitioners can choose from over 2000 different auditory activation programmes and thus can create an intervention course that suits each individual client.For really superior results, the practitioner needs to go even further and be aware of the emotional needs and the social interactions surrounding the client. SAS practitioners often work together with families and teachers to ensure a fully integrated team support network is in place.When these three elements are in place, are fine-tuned and are adjusted to take account of the client's responses during the programme, only then can long-term success be secured. This article was read 1079 times.